With a spot in the 2017 Confederations Cup on the line for the winner of Saturday's clash between the U.S. and Mexico at the Rose Bowl, we asked ESPN FC's experts for their keys to victory. What will be the one thing that could make the difference? Will "Tuca" trust his young El Tri talent? A key to the match is whether or not interim Mexico coach Ricardo "Tuca" Ferretti will trust the talent of Mexico's new young star, specifically Jesus "Tecatito" Corona. Only 22, he has four goals in four games with Porto and is fearless in front of goal. While it's true that veteran players generally rise to the occasion in rivalry games, sometimes fresh, exciting talent is exactly what a game in danger of becoming stale and sour really needs. 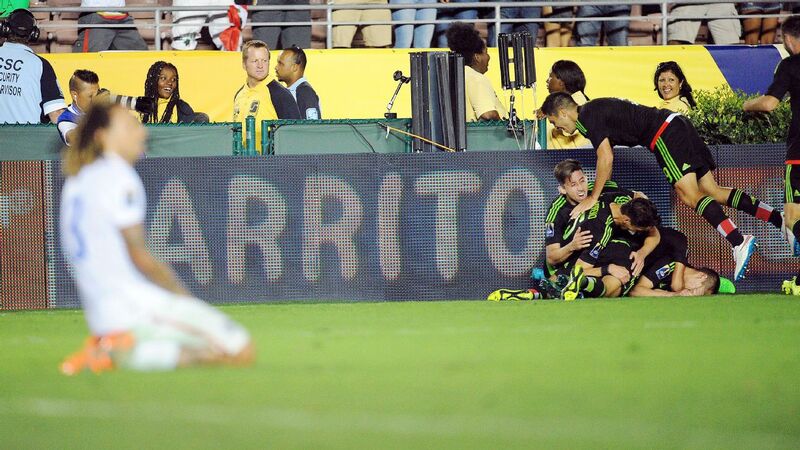 Corona also responds well to pressure and has shown a knack for scoring in important games. He scored his first competitive international goal in this summer's Gold Cup final against Jamaica, helping Mexico win the title with ease. Mexico must deny Michael Bradley room to dictate the game, or else the result will likely fall in the U.S.'s favor. Can Mexico stop Michael Bradley? Can the U.S. defense stand tall? The single biggest reason why the U.S. national team has endured so many ups and downs in 2015 is due to the performance of the team's back line. Even during that heady week in June when the Americans defeated Germany and the Netherlands in back-to-back friendlies, the U.S. defense wasn't exactly airtight, conceding a combined four goals. As such, the play of the back line will be critical on Saturday. Much of U.S.'s inconsistency in defense has been down to manager Jurgen Klinsmann's insistence on either mixing and matching personnel or going with youth. In particular, when Klinsmann was giving minutes to the likes of John Brooks and Ventura Alvarado, the team struggled, and it could have benefited from a steady veteran presence. But all indications are that Klinsmann is relying on veteran heads for Saturday, and that is for the better. Fabian Johnson and DaMarcus Beasley will be manning the outside-back positions. Matt Besler has come out of the cold -- and given the predicted weather conditions for Saturday, into the fire -- to resume his spot in the center of defense. Can the U.S. jump-start its attack? You can't win if you can't score, so if the U.S. is to beat Mexico at the Rose Bowl, it will likely need strikers Jozy Altidore and Clint Dempsey to come through huge. Dempsey has been on fire for the U.S. this year, with nine goals in nine appearances, including seven on the way to winning the Golden Boot at July's Gold Cup. But amazingly, none of the 32-year-old's 48 career tallies have come against El Tri. Altidore hasn't done much better against the Americans' chief rival; his lone goal vs. Mexico came in his first international start back in 2008.